Detailed Information regarding Dragonite’s Location and the strategy to encounter it in Pokémon Sun and Moon. Dratini spawns at Vast Poni Canyon (Fishing Spot) in Poni Island. Dratini will evolve into Dragonair at level 30. You can encounter it when it intrudes Dratini in a SOS battle. It is recommended to capture either Dragonair or its pre-evolution with the Hidden Ability. 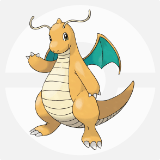 Dragonair will evolve into Dragonite at level 55. When it fully evolves, its Hidden Ability Multiscale reduces damage at maximum HP making it formidable in battle. Uh, could you recommend a good strategy to catch it, like with the adrenaline orb trick? Can you still get a high IV Dragonair through SOS chaining like you can with other ‘mons?